Hello and Happy Valentine's Day! I hope your day is special and full of love! 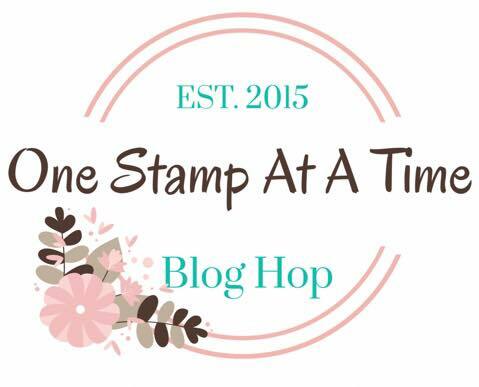 Not only is it Valentine's Day but it is also time for the February One Stamp At A Time Blog Hop! If you've already been hopping then you should have landed here from the very talented Candy Ford's blog. If you are starting at my blog, please make sure you hop all the way through and take in every bit of awesome inspiration! This month's theme is #simplestamping. I had a little trouble making up my mind what to do for this one so I'm going to share both cards and treat box with you today. My first card used both the Petal Palette Stamp Set for tone-on-tone stamping and the sentiment and the Butterfly Gala Bundle for the butterflies. It was a super simple card with a black 11" x 4 1/4" half sheet of Basic Black Cardstock scored at 5 1/2 for a top folding card. My stamped panel was Lemon Lime Twist with tone-on-tone stamping in Lemon Lime Twist Ink. I stamped the butterflies in Memento Tuxedo Black Ink onto more of the Lemon Lime Twist Cardstock and then used the Butterfly Duet Punch to punch them out. I curved the wings with my bone folder and adhered the bodies of the butterfly with Multipurpose Glue and put a mini dimensional under the wings so they would have dimension. The sentiment was stamped directly onto the card front in Memento Black Ink. Finally I added a few splatters to the front with my Basic Black Stampin' Write Marker to finish it off. My next card and treat holder featured the Butterfly Gala Bundle and the Botanical Butterfly Designer Series Paper. This was super easy as there was minimal stamping. I used the beautiful Botanical Butterfly DSP as my focus on the card. I did layer a piece of Lemon Lime Twist Cardstock behind it before adhering to a Heavy Whisper White Top Folding Card Base. 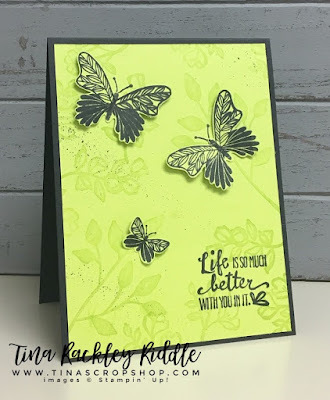 The sentiment from the Butterfly Gala Bundle was stamped onto Lemon Lime Twist Cardstock with Memento Tuxedo Black Ink. I used the Tailored Tag Punch to punch out the sentiment. I added a small amount of snail adhesive to the back of the punched sentiment and ran a few loops of Whisper White solid twine behind it. I then added some dimensionals to adhere it to my card front. For my treat box, I started with one of the Silver Mini Gable boxes. 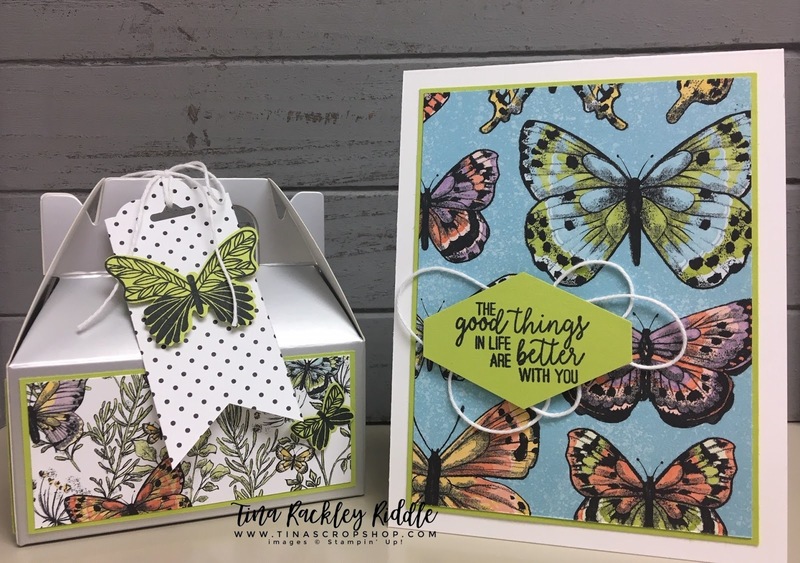 I layered on Lemon Lime Twist Cardstock on all 4 sides and then more of the Botanical Butterfly DSP. The tag was cut from more of the same DSP. I cut the Banner End with the Triple Banner Punch and used the Scallop Tag Topper Punch for the top. I added another Butterfly stamped on Lemon Lime Twist Cardstock in Memento Tuxedo Black Ink and then punched out and adhered with Multipurpose Glue. I tied it to the top of the Gable Box with more of the Whisper White Solid Twine. Thank you so much for stopping by! Below is a list of the entire hoppers! Please click on Mary Haugen's name on the list below to continue on to her awesome blog!